Jellystone has designed another fabulous style of jewellery pieces that not only look great but are a non toxic alternative to regular costume jewellery. 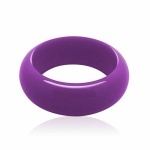 The Fiesta Bangle is a sleek, glossy silicone bangle that looks great with any outfit. These funky teething jewellery pieces are safe for bubs. It is easily cleaned with soapy water, a wet wipe or in the dishwasher. 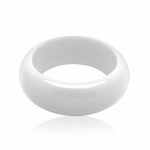 Fiesta bangle range complies with European Standard EN 71 part 3 Migration of certain elements, and the equivalent specifications to the Australian Standard for Toy Safety, AS NZS ISO 8124.1-2010. Meaning that it does not contain small parts and is safe for independent play.